1. 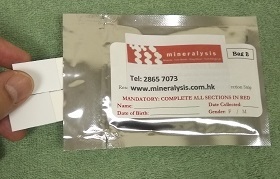 No physician or doctor’s referral is needed, please make an appointment with us by telephone (28657073) or e-mail (lab@mineralysis.com.hk) to obtain a urine collection kits. 2. Please wait until the follow day, collect first-morning-mid-stream-urine before food and drink. 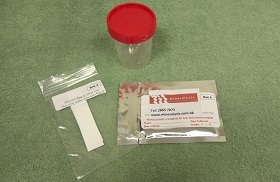 One can collect a cup of mid-stream urine in a urine container first, put out the collection strips from Bag A, holding it by the labeled, nonabsorbent end, and then place the absorbent pad portion of collection strips into the cup until the absorbent pad is fully saturated with urine. 3. 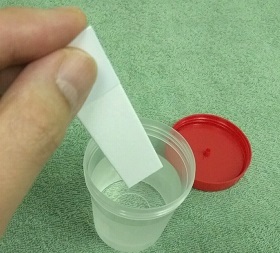 Allow collection strips to drip freely for 1 minute. Put them into Zip-lock bag with desiccant (Bag B) and seal tightly. Gently shake briefly to ensure maximum spread of desiccant over the collection strips. Keep the sample away from heat and return the specimen to our centre as soon as possible. 4. 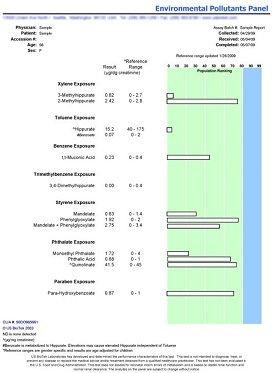 Urine sample will be couriered to a US-based laboratory for analysis, using highly accurate technique Gas Chromatography-Mass Spectrometry method to test for 7 types of environmental toxins, report will be released in about 3 weeks. 5. A 30-minute consultation provided by our nutritionist for result interpretation and dietary recommendation. Clients are welcome and recommended to bring along their previous body check reports so that we can give even more comprehensive dietary recommendation.